If you are a developer who work together on a project as a team. You might familiar with version control or revision control. Revision control simply is a management of changes to the documents including source code. 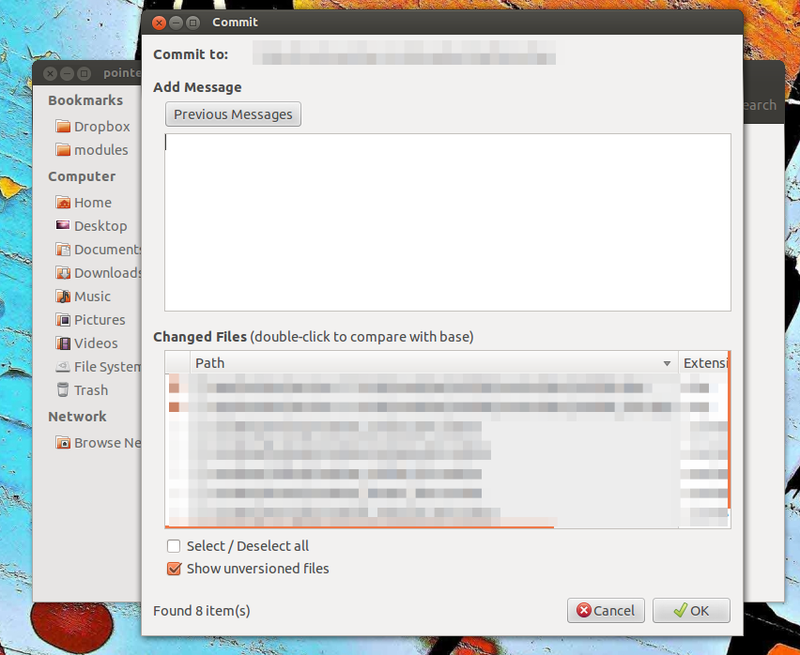 Today, I'd like to share the cool version control client application which can make our work easier. Introducing RabbitVCS! RabbitVCS is a set of graphical tools written to provide simple and straightforward access to the version control systems you use. 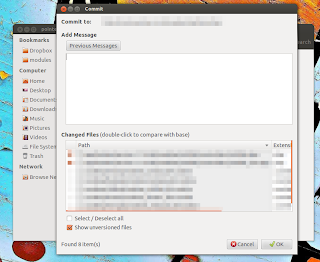 Currently, it is integrated into the Nautilus and Thunar file managers, the Gedit text editor, and supports Subversion and Git, with a goal to incorporate other version control systems as well as other file managers. RabbitVCS is inspired by TortoiseSVN. So, if you ever used it before, you should not find any difficulties using RabbittCVS. As Ubuntu 12.04 LTS Precise Pangolin comes with Nautilus 3, we have to install "rabbitvcs-nautilus3" package. If you are using Nautilus 2, please change it to "rabbitvcs-nautilus". For those who are using Thunar as file manager, simply install "rabbitvcs-thunar" package.